CAMDEN, NJ—Eighth graders at Mastery East Camden Middle School are poised to get first-hand knowledge on how the area’s largest bridges have been built and maintained. The six-week pilot program is aimed to get the middle schoolers interested in pursuing careers in transportation, bridges, engineering and safety industry. Students in the program will participate in hands-on STEAM-focused activities lead by DRPA professionals in various fields, such as building solar-powered cars and model bridges. In addition to the hands-on experience, students will gain knowledge of various careers in the transportation industry. The DRPA owns and operates the Benjamin Franklin Bridge, the Walt Whitman Bridge, the Commodore Barry Bridge, the Betsy Ross Bridge and the PATCO High Speedline. 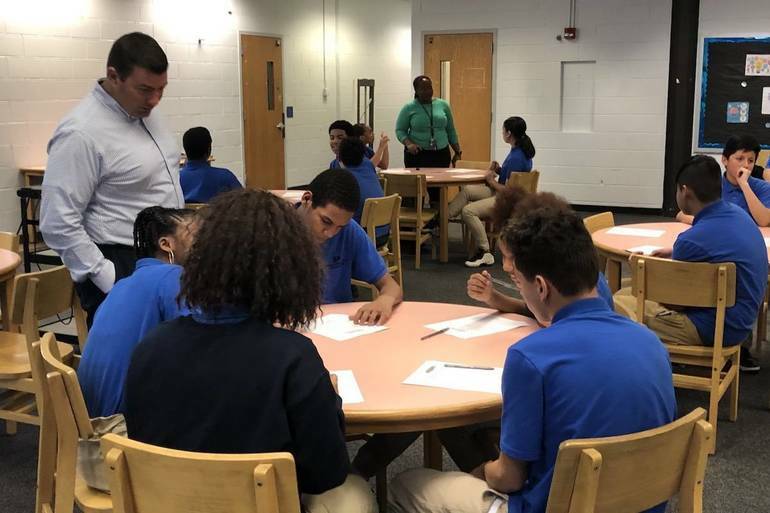 Mastery East Camden Middle School Principal Meaghann Lawson said that the program will help students contextualize how math and science are used in the real world. The program will take place in the school’s soon to be Makerspace, a space where students will technology, textile and power tools to build and invent solutions to real world problems. Lawson hopes the program, in addition to the Makerspace, lays the groundwork for an eventual STEAM academy at the school. Over the course of the six weeks, the students will learn about engineering, what careers can be pursued in engineering, and what kind of education is needed to become and engineer. They will also build a solar car and a bridge out of K’NEX that will be judged on its appearance and strength.